Consider this “Ajax”, not “AJAX”, Part II. A blog post in two parts, each part as trivial-bordering-on-absurd as the other. I am writing ajax in lower case because I think ajax has become ordinary enough that the caps are no longer justified. “AJAX” in 2009 is as ridiculous as RADAR or LASER, but “ajax” is a step too far. I still prefer “Ajax” to “ajax”. Reason being, it’s a design pattern. 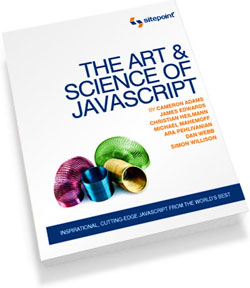 Just as we say Strategy, Abstract Factory, or Singleton, we ought to say Ajax. 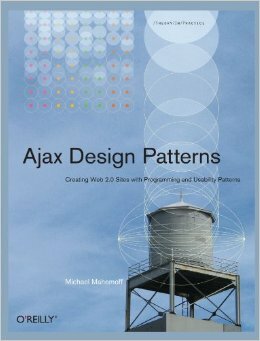 Admittedly, each of those patterns includes an entity sharing the same name as the pattern, and being a class, the entity is capitalised; in Ajax, there is no actual “entity” called Ajax, so you might say ther’es no reason to capitalise. However, patterns outside software design are still capitalised, e.g. among Tim O’Reilly’s patterns of Web 2.0 are Hackability and Play, not hackability and play. The objctification, even anthropomorphisation, of patterns is a big part of their power. Once you see a pattern as a living thing, you can see it as something that evolves over time and is capable of forming relationships with other patterns. In that, there is a close analogy between patterns and such software entities as classe and tables. ajax > AJAX, but I <3 Ajax.